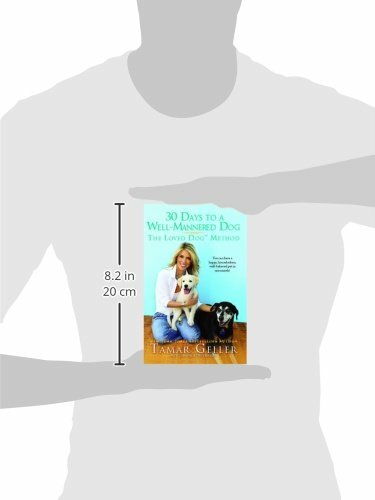 From Oprah’s dog trainer and the New York Times bestselling author of The Loved Dog—a groundbreaking thirty-day plan for coaching dogs of all ages to become housebroken, happy, and well behaved within one month. Long known as a dog coach to the stars—her clients include Oprah Winfrey, Ben Affleck, Courteney Cox-Arquette, Owen Wilson, Natalie Portman, and Larry King—Tamar Geller changed the way Americans relate to their dogs with her bestselling book The Loved Dog. Her approach is simple and down-to-earth. 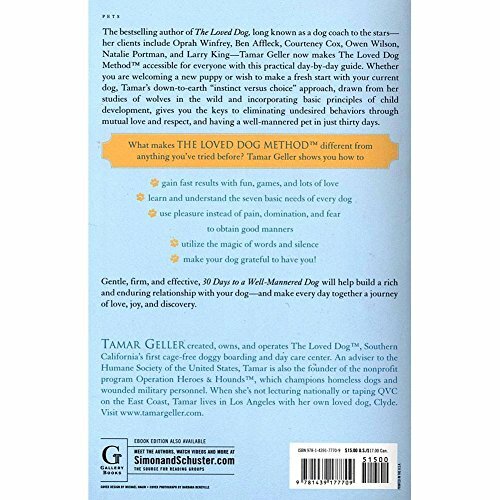 Instead of utilizing the negative and often painful feedback of physical dominance, choke chains, and prong collars, Tamar recommends love, play, and mutual respect as the keys to a happy home for dog and human alike. 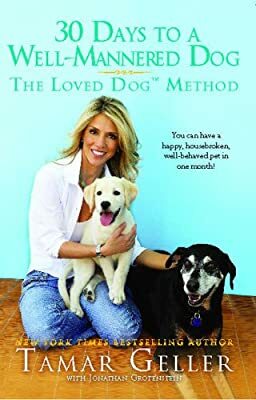 Now, Tamar makes her Loved Dog™ Method accessible for everyone with this day-by-day guide that will lead you through the first thirty days with your new dog—or help you make a fresh start with your current dog. Drawing on her studies of wolves in the wild and basing her method on the principles of child development, Tamar uses an "instincts versus choice" approach that satisfies a dog’s Seven Basic Needs and will result in a pet with good manners. 30 Days to a Well-Mannered Dog covers every question commonly asked by people embarking on the momentous journey of dog ownership: why it’s important to choose the appropriate dog for you and your lifestyle, what you can expect from a puppy versus an adult dog, how to introduce your new dog to your home, and how to respond when things don’t go according to plan. Tamar guides you every step of the way, from addressing undesired behaviors in your dog to crate and paper training him to introducing him to other dogs and helping him become relaxed with strangers. Included are important but often overlooked tips about the use of words and body language to communicate, the power of play, and the amazing value of teaching your dog some lighthearted pet tricks. Along the way, Tamar debunks myths in need of debunking: that dogs are frequently "alpha" by nature and need to be dominated; that discipline is the key to dog training, and that "success" only means getting your dog to do what you want. Instead, she shows how to align your dog's wishes with your own to create a rich and enduring relationship that works wonderfully for you both. Gentle, firm, and effective, 30 Days to a Well-Mannered Dog will build your relationship with your dog to make every new day together a day of love, joy, and discovery.